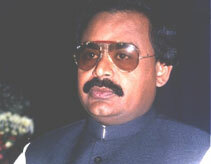 Muttahida Qaumi Movement Pakistan was founded by Altaf Hussain. Find Muttahida Qaumi Movement Pakistan MQM-P Detail Election Results 2018, national assembly Seats, Sindh, Punjab, Balochistan & Khyber Pakhtunkhwa KPK, FATA, News, Candidate names, Muttahida Qaumi Movement Pakistan MQM-P Party Contact Information, Party Flag, Logo & Songs. 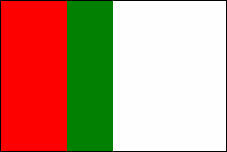 Muhajir are ethnic Urdu speaking Muslim linguistic group that migrated to Pakistan after independence in 1947.Muhajirs were welcomed in Pakistan,Liaqat Ali Khan(first Pakistani Prime minister)himself a muhajir is said to have fast forwarded muhajirs to/in civil service.Before 1947,most of businesses were owned by hindus,their departure was followed by allotments of businesses to selected group of muhajirs(Urdu Speaking). After the death of Liaquat Ali Khan, the rise of military intervention in governmental affairs and public sectors cornered Muhajirs.General Muhammad Ayub Khan seized the presidency of Pakistan in a military coup amid political chaos. General Ayub Khan allegedly was against the special treatment for Muhajirs on important positions in civil service, bureaucracy and local government that lead their over representation. The subsequent administration of Zulfikar Ali Bhutto went on to nationalizing businesses.Muhajirs only constituted 7.44% of the Pakistani population.Formerly their settlement in business hubs(marred by alligations of politically motivated steps),notably the portal city of karachi, gave them influence well beyond their numbers in the population.This created resentment in other ethnic groups of Pakistan, and in order to accommodate them, the administration of Zulfikar Ali Bhutto enforced a quota system at university and governmental level. Successive . This affirmative action by the government of Pakistan was resented by the Muhajirs, who preferred the former special treatment.